By this point, we would imagine the president is hearing footsteps behind him. Of course, it’s difficult to put yourself in Donald Trump’s size 12 loafers, as it seems increasingly clear that he’s been implicated in at least a pair of campaign finance violations. But today’s news out of a New York courtroom indicates that our toxic tycoon is legally and politically imperiled as he watches the investigations march ever closer to his office. A contrite Michael Cohen on Wednesday received three years in prison for a series of tax fraud and lying charges, sending another former Donald Trump associate to jail. 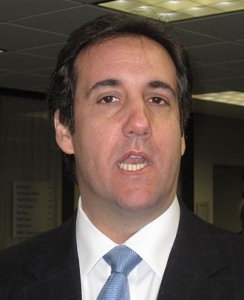 In addition to the prison time, which is scheduled to begin with his surrender to federal authorities on March 6, Cohen will have to forfeit $500,000 in assets and pay $1.393 million in restitution. Cohen earlier this summer pleaded guilty with New York prosecutors to a slate of eight charges of tax evasion, financial fraud and campaign finance violations. Trump himself was implicated in the campaign finance crimes, with prosecutors saying he directed Trump in hush money payments designed to sway the 2016 presidential election. Cohen also later pleaded guilty with Mueller in November to lying to Congress about work he did during the election on an aborted Trump Tower project in Russia. The judge on Wednesday slapped Cohen with a $50,000 fine for lying to Congress in the special counsel’s case, explaining that the penalty was meant “to recognize the gravity of the harm of lying to Congress in matters of national importance.” Two months of his three-year sentence are also tied to the lying-to-lawmakers charge. Trump’s legal picture is growing inexorably darker as the White House considers its search for a new chief of staff. North Carolina Congressman Mark Meadows is reportedly among the frontrunners for the dubious distinction. 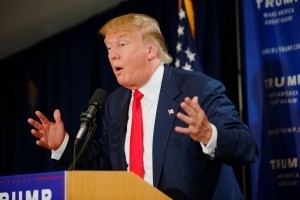 Whether or not federal lawmakers consider the alleged campaign finance crimes to be an impeachable offense is clearly up for debate, but it seems likely that the president’s legal troubles may soon come to a head.